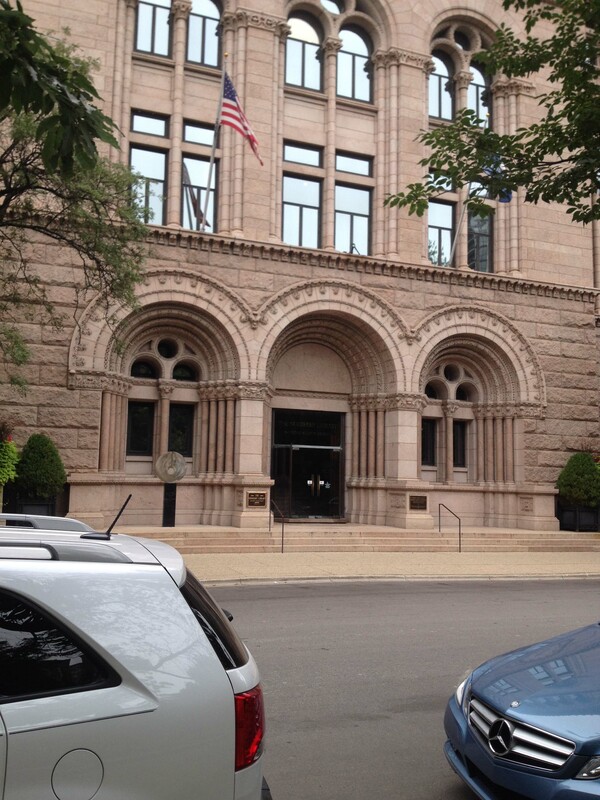 I spent the last few days of August at the Newberry Library. They have over 600 printed writing manuals and a few manuscript writing manuals as well. I knew this visit would be all too short. 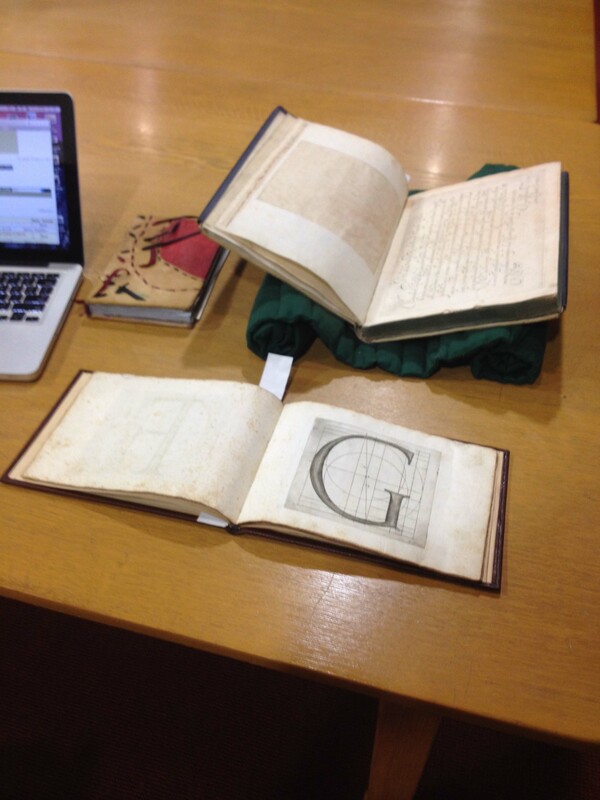 Because it is the biggest collection of early modern writing manuals, it made sense to visit there early in my travels as I would have a better sense of the scope of material and reference points to things I discovered along the way. Desk #1 with old and new technology side by side. 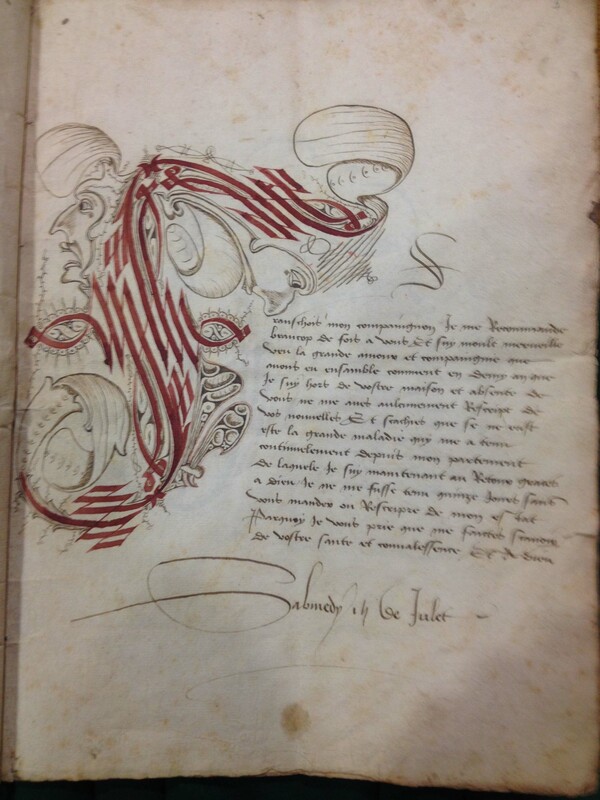 My first research experiences were here at the Newberry Library as a beginning student of calligraphy. Returning to look at books I’ve seen before is a pleasure. Often, I’ll see the same book in a completely new light and feel that it’s the first time I’ve viewed it. And then there are the books I’ve never seen before. I called up 45 items, mostly books, a few wood blocks and one collection of 75 writing book fragments. An alphabet book and a writing manual are both used for more than one purpose. Straight craft instruction as well as proper correspondence techniques were just two things being taught. Pleasing aesthetics were important as well. Writing had to be legible and it helped if it looked nice. However, these ideals presented in a writing manual were just that, ideal letterforms. 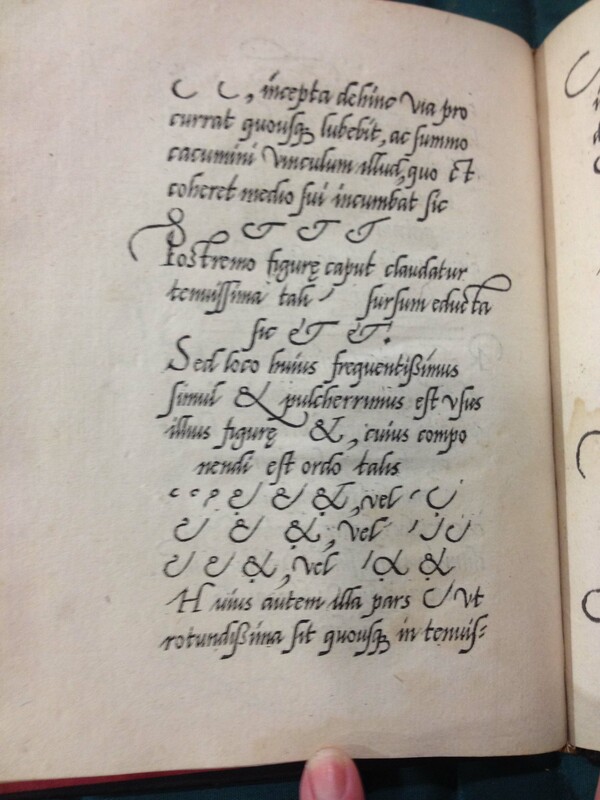 Writing manuals codified the letter shapes then in fashion locally. They were very much a record of their time in showing what hands were current and often indicating which hands were beginning to be out of date but still necessary to know how to write. 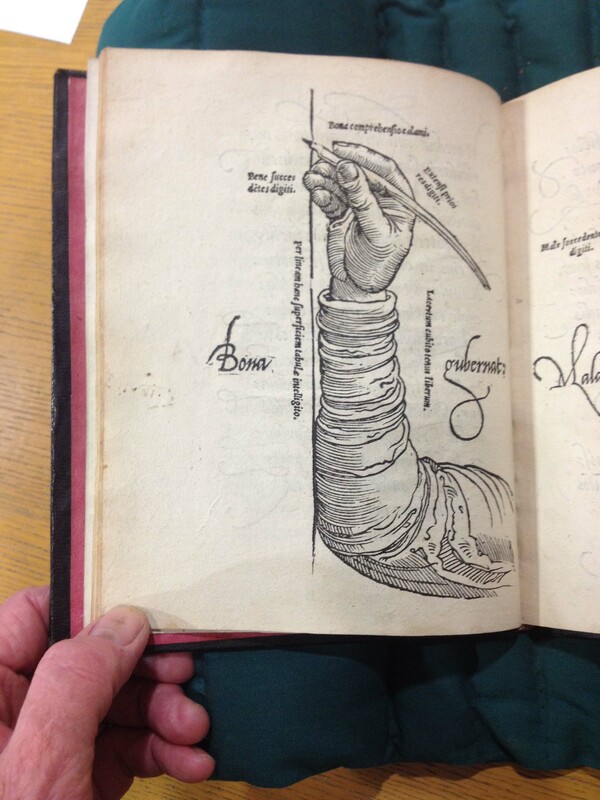 1549 Mercator shows how to hold the pen correctly. The shapes of letters are built on the skeletal form of the letter, the pen and how it is cut, how it is held and how much or little pressure is applied to the nib. All this might be imparted in a writing manual. A hand was designed to have identifiable shapes that scribes could duplicate with enough similarity that someone else could read them. These conventions changed over time, but grew out of older traditions. There was a continuous evolution of the forms. Legibility is essential to reading. Reading is accomplished by understanding agreed-upon shapes and reconciling those shapes into words, sentences, paragraphs. 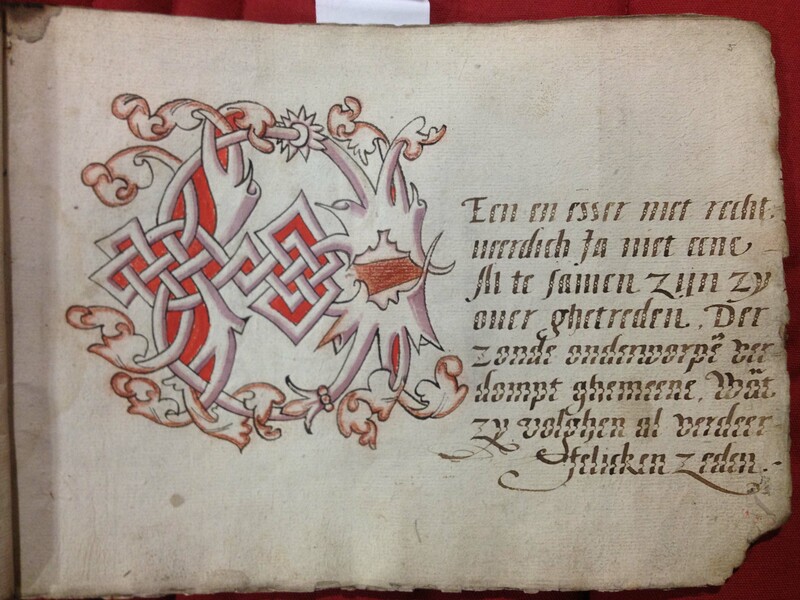 Before the printing press, books were written by hand. Correspondence, legislation, legal documents and business records were written by hand as well. 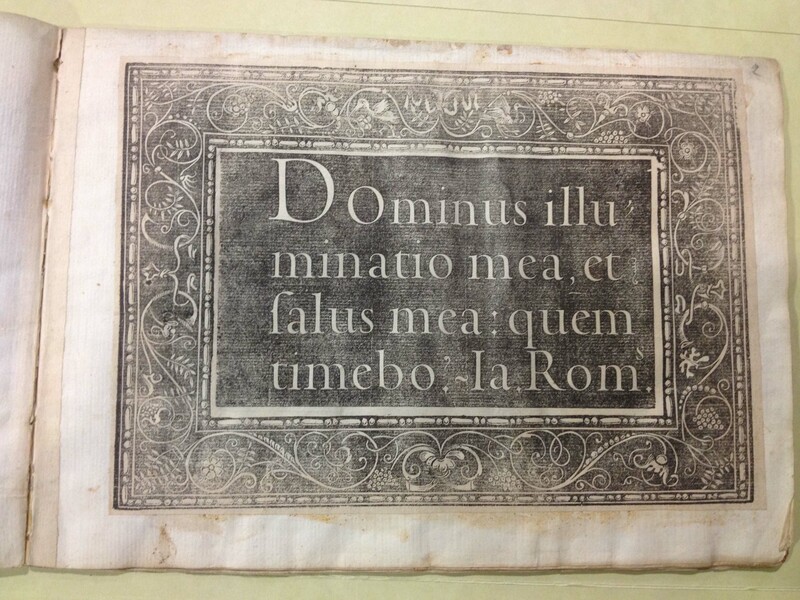 The invention of moveable type allowed books to be duplicated in large quantities with (mostly) identical texts. But it could not address the large body of information that was for one-off or limited production. 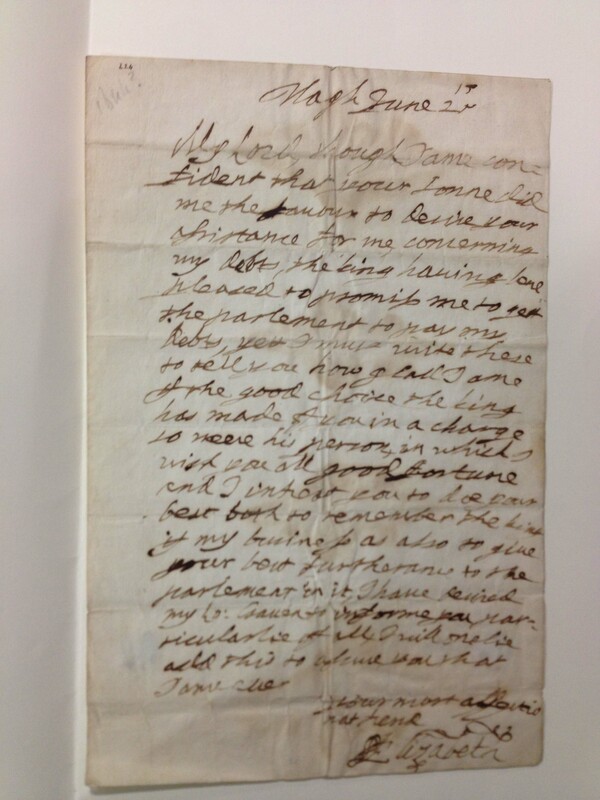 A letter to three recipients would have been handwritten three times rather than set in type and three copies printed.